Shimano has long been an industry leader in the design of fishing rods and reels. 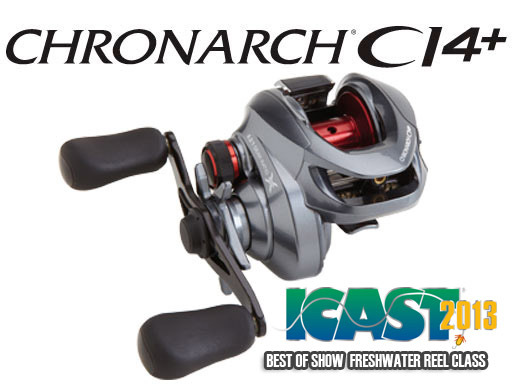 One of their latest innovations is the Chronarch CI4+ baitcasting reel. It won best of show “new fresh water reel” at the 2013 ICAST show in Las Vegas, where many companies show off the coming year’s innovations. Despite its freshwater blue ribbon, the CI4+ was designed to hold up in the harsh marine environment and will crossover as an excellent inshore saltwater reel too. San Diego area anglers have the opportunity to be among the first to see the newest fishing tackle from Shimano and G.Loomis – including the award-winning Chronarch CI4+ baitcasting reels and NRX bass rods, at a special demo event this Sunday, July 28, at Angler’s Choice Tackle. The Shimano and G.Loomis crew will be on-site – 1920 Rosecrans Street near the Shelter Island Launch Ramp – from 8am until 4pm. According to Matt Towner with Shimano, anglers can also check out the new Stradic CI4+ and Baitrunner OC spinning reels, a large assortment of new Shimano and G.Loomis apparel and new Coltsniper jigs and ORCA pencil baits, along with the new line-up of Terez offshore rods. 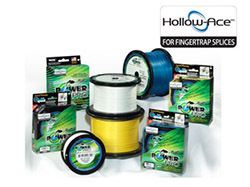 “We’ll also have PowerPro Hollow-Ace connection seminars, the chance to cast the new G.Loomis rods, and our pro-staff members giving presentations on how to effectively use the various Shimano offshore and inshore fishing systems,” said Towner. As an added bonus, there is a drawing at the end of the day among all those attending for Shimano tackle systems, including Terez and Tallus rods, and Tranx and Calcutta reels. For more information on the event, contact Angler’s Choice Tackle at 619/223-2324 – or on the web @ www.anglerschoicetackle.com.